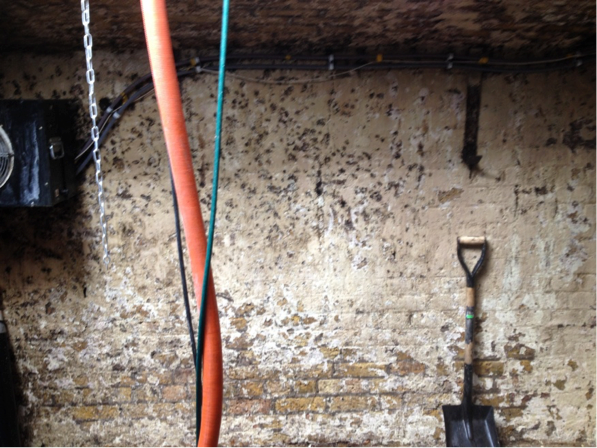 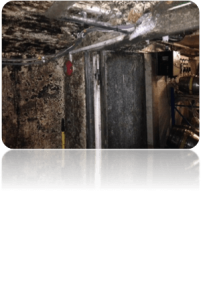 Severe Mould growth to a public house cellar that has been growing for 7 years in central London. 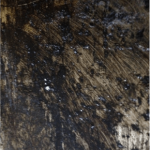 Fortunately, fungal and mould levels in the indoor environment which are considered normal do not effect most healthy individuals, However, when these levels amplify and become abnormally high then there is a serious for potential ill health. 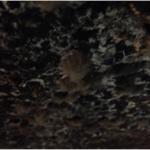 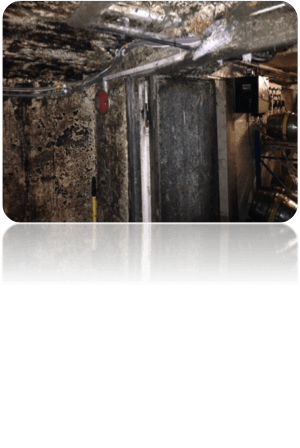 The extent of the mould growth to this particular area classes this job as high risk mould due to the area and time that is has been growing therefore the upmost care must be taken to ensure no further contamination to any other areas also the safety of the staff is paramount. 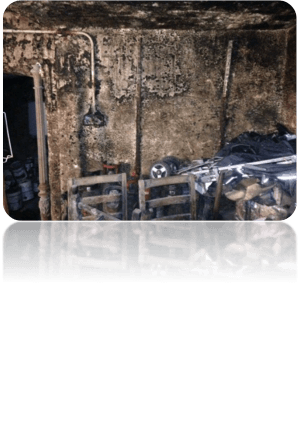 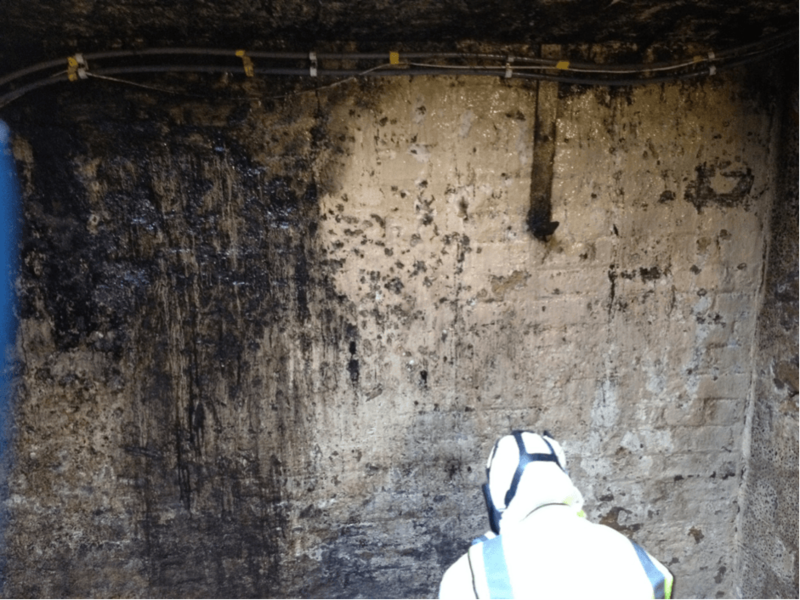 As can be seen from the photos the extent of the microbial growth poses a serious threat on anyone who may enter the area and must be dealt with carefully and promptly. 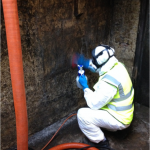 After sealing off the area to ensure no escape of any contaminants reached the general public further precaution was taken to ensure the safety of the staff with full PPE and full face masks. 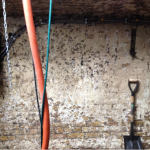 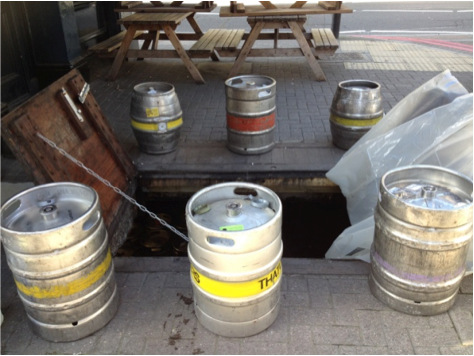 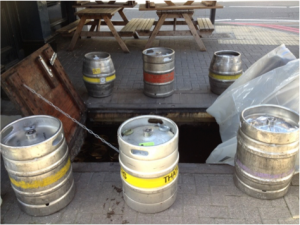 Sheeting off the open cellar helps to contain the environment and stop any spores from entering the environment outside where it was a busy London street all day. 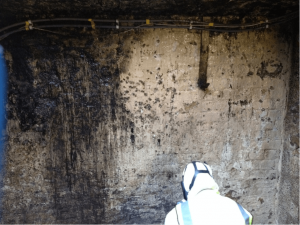 As shown in the picture above all precaution was taken care to contain the environment before we took action to remediate it. 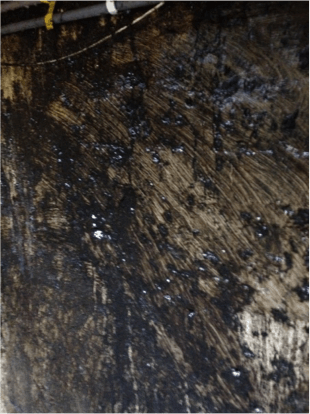 Firstly we started by coating the entire cellar walls and ceiling with a high alkaline solution. 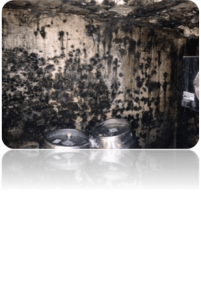 This not only helps to contain the spores from becoming airborne, but helps to ensure an inhospitable environment as mould and mildew love to grow in acidic environments. 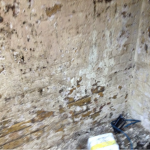 This picture shows the state of the mould after it has been agitated with a high alkaline solution. 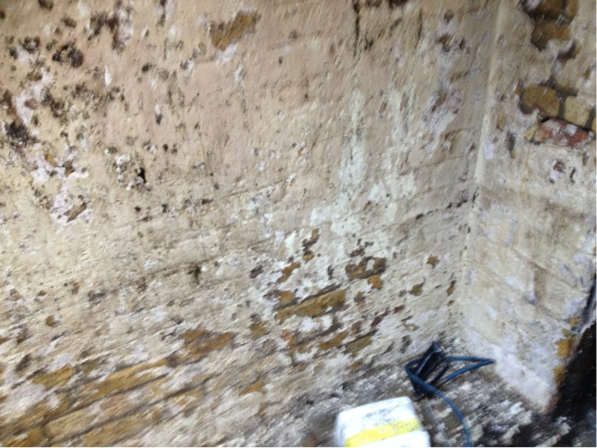 Pre existing mould prior to cleaning. 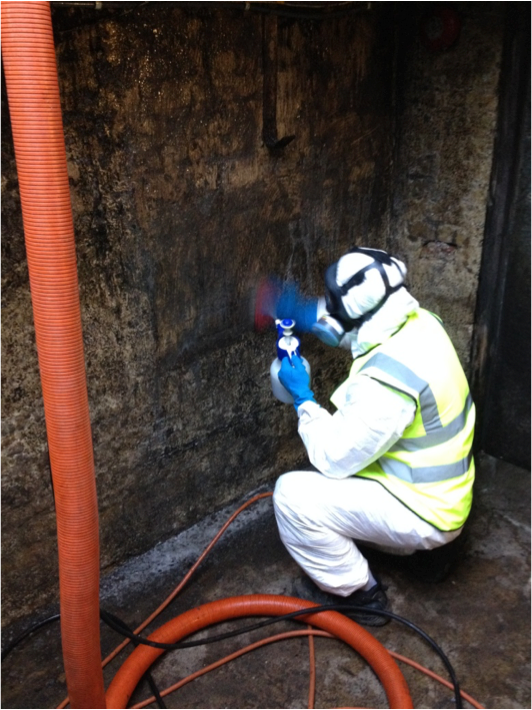 After we had scrubbed the surface we began to extract and rinse with a high heat truck mount and a handheld extraction tool to extract to a waste tank to ensure we removed/Disposed the mould. 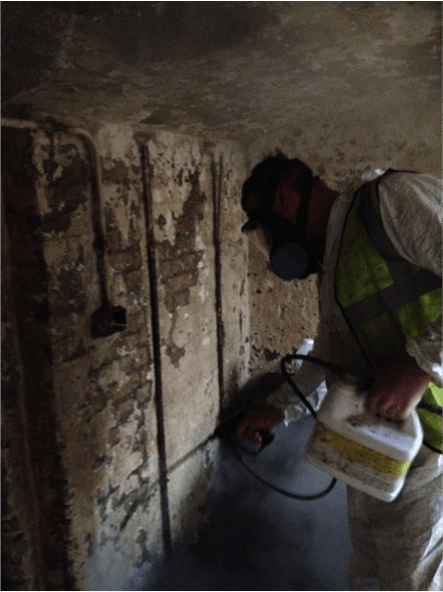 After we had extracted the surplus mould on the surfaces we gave it a rinse under high pressure with just clean water to rinse off any residual chemical . 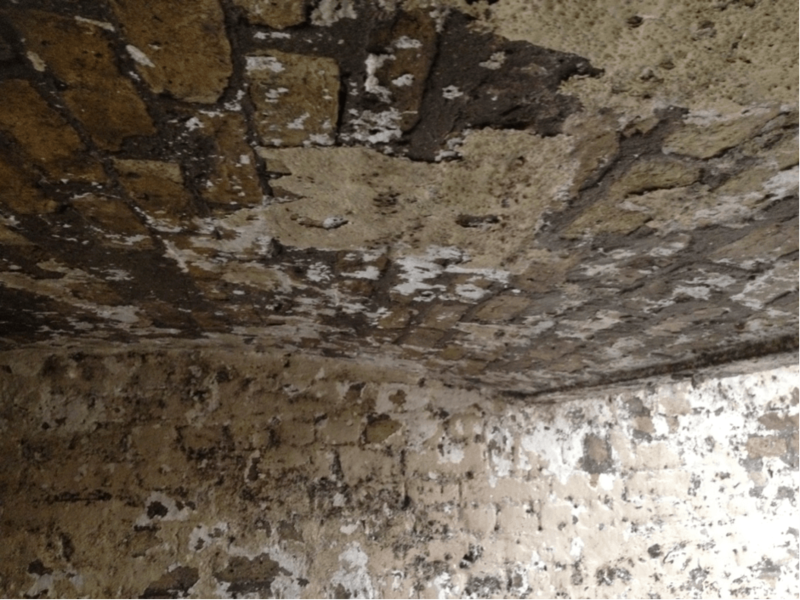 You can see the difference in the walls here after they have been treated/scrubbed and rinsed down. 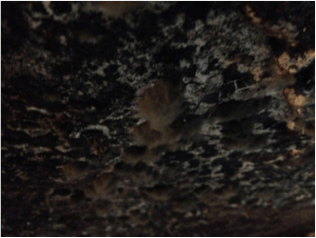 After that we used coated the area with a biocidal chemical to reduce the chances of any return of mould growth. 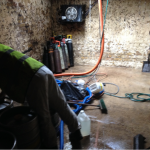 After using the biocide chemical we used a small amount of air freshener to handle the remaining smell. 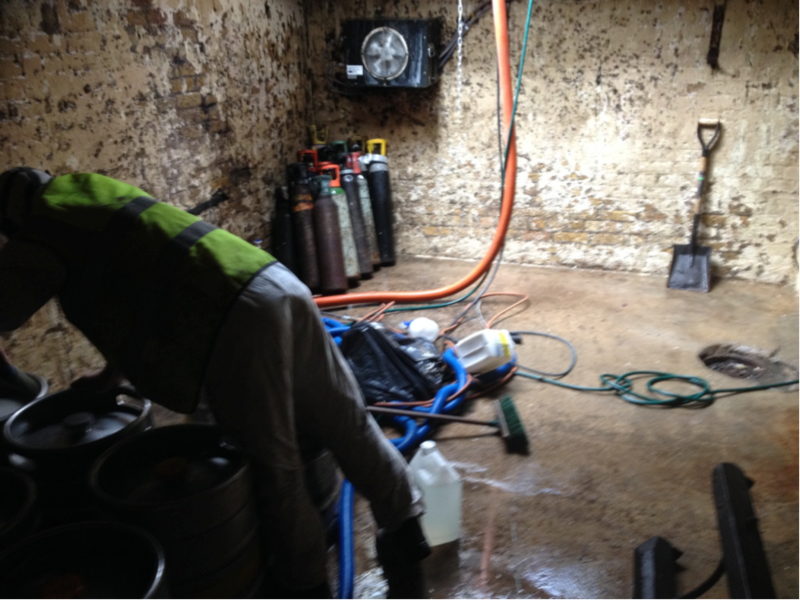 After packing up everything we returned to our yard to de-contaminate all of the equipment that we had used as a matter of hygiene. We take the presence of developed mould very seriously. 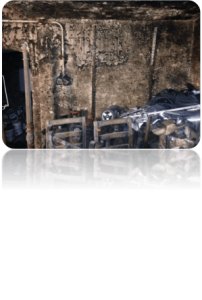 We can also handle developed mould seriously. 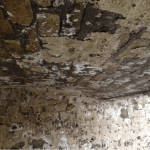 No Replies to "Mould Remediation Case Study: The Betsey Trotwood Public House"